SEOUL, SOUTH KOREA--(Marketwire - Sep 7, 2012) - In purposes of promoting the safeness and attractiveness of Korea, the Korea Tourism Organization has decided to create and launch an educational e-Learning program for those who are related to the travel industry in European and American regions. By providing fresh information, e-Learning can be applied to travel product developments as well as product promotions. In addition, it is made for the general public to easily learn and apply to their travel plans as well. 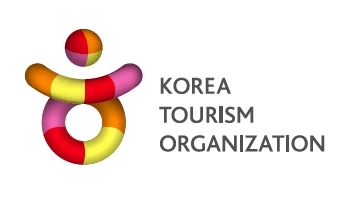 The e-Learning program will provide a general summary of Korea, themed Korea tours, introduction and description of each region as well as main tourism information, tests and surveys, where those who pass the standard score on the provided test (minimum of 80 points out of 25 questions) will receive certificates provided by the Korea Tourism Organization. Additionally, the organization plans on forming "Korea Specialists," amongst those who have made significantly high number of sales from small-sized travel agencies or product developers, who finished the e-Learning program. Those who are selected as "Korea Specialists" will receive varieties of incentives as a reward. The e-Learning program can be found on the main pages of the official Korea Tourism Organization website (www.visitkorea.or.kr) for each applicable language: English, German, French, Spanish (http://spanish.visitkorea.or.kr) and Russian (http://russian.visitkorea.or.kr). All questions can be asked through email (english@knto.or.kr asia_english@knto.or.kr).